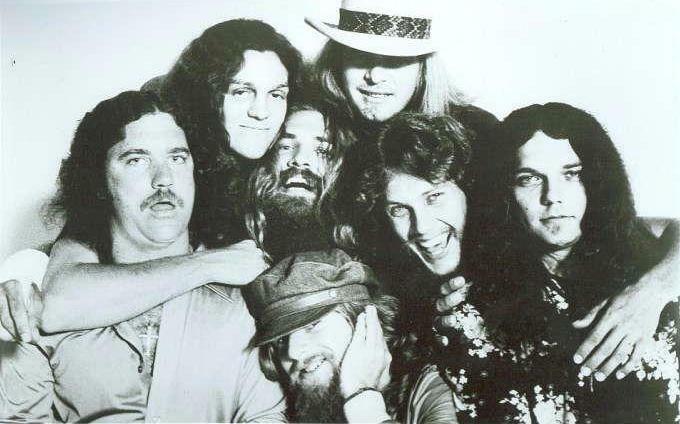 A New York court has awarded Lynyrd Skynyrd a permanent injunction to block an unauthorized biopic about the band’s 1977 plane crash that killed six people, including lead singer Ronnie Van Zant, guitarist Steve Gaines and backup singer Cassie Gaines. Rolling Stone reports production on “Street Survivors: The True Story of the Lynyrd Skynyrd Plane Crash” – based on the life of former Skynyrd drummer Artimus Pyle, who left the group in 1991 – will permanently shut down after a judge decided that the film violates a consent order that Pyle signed with his band mates in 1988. The consent order states that "No such exploitation of life story rights is authorized which purports to be a history of the 'Lynyrd Skynyrd' band, as opposed to the life story of the applicable individual." Skynyrd guitarist Gary Rossington, singer and Van Zant's brother Johnny Van Zant and the Van Zant and Gaines estates filed a lawsuit against Pyle and Cleopatra Records over the project in June. Following a two-day, juryless trial in July, U.S. District Judge Robert Sweet agreed Monday that the biopic would cause "irreparable harm" to the Skynyrd name as well as the late members' estates. "None of the defendants received the requisite authorization under the terms of the consent order in depiction of (Ronnie) Van Zant or Gaines or in the use of the Lynyrd Skynyrd name, and therefore all have violated the consent order," Sweet, who also oversaw the 1988 consent order, wrote in his judgment. The judge did note, however, that Cleopatra Records is still allowed to make a Skynyrd biopic without Pyle’s involvement. "Cleopatra is prohibited from making its movie about Lynyrd Skynyrd when its partner [Pyle] substantively contributes to the project in a way that, in the past, he willingly bargained away the very right to do just that; in any other circumstance, Cleopatra would be as 'free as a bird' to make and distribute its work," Sweet wrote in his decision, which can be read in full here. "Cleopatra is free to make a movie about Lynyrd Skynyrd and/or about the plane crash,” he added. “What Cleopatra is not free to do, however, is to make such a movie in concert and participation with Pyle in violation of the restrictions imposed on him by the Consent Order." “Street Survivors” – the band’s fifth studio album – was issued on October 17, 1977. Three days later, on October 20, Skynyrd’s chartered airplane crashed near Gillsburg, Mississippi en route to Baton Rouge, Louisiana, killing the pilot, co-pilot, the group's assistant road-manager and three band members – frontman Ronnie Van Zant, guitarist Steve Gaines and backup singer Cassie Gaines. Beyond the tragedy, the incident severely injured most who survived the crash. The album is the last Skynyrd project recorded by original members Ronnie Van Zant and Allen Collins, and is the group’s sole studio recording with Steve Gaines. Lynyrd Skynyrd regrouped in the late 1980s and continue to record and tour; the lineup includes lone original member Gary Rossington on guitar and Ronnie Van Zant’s brother, Johnny, on lead vocals.